Sardinia is the second-largest island in the Mediterranean Sea. Around the 9th century BC the Phoenicians began visiting Sardinia with increasing frequency, presumably initially needing safe over-night and/or all-weather anchorages along their trade routes from the coast of modern-day Lebanon as far afield as the African and European Atlantic coasts and beyond. 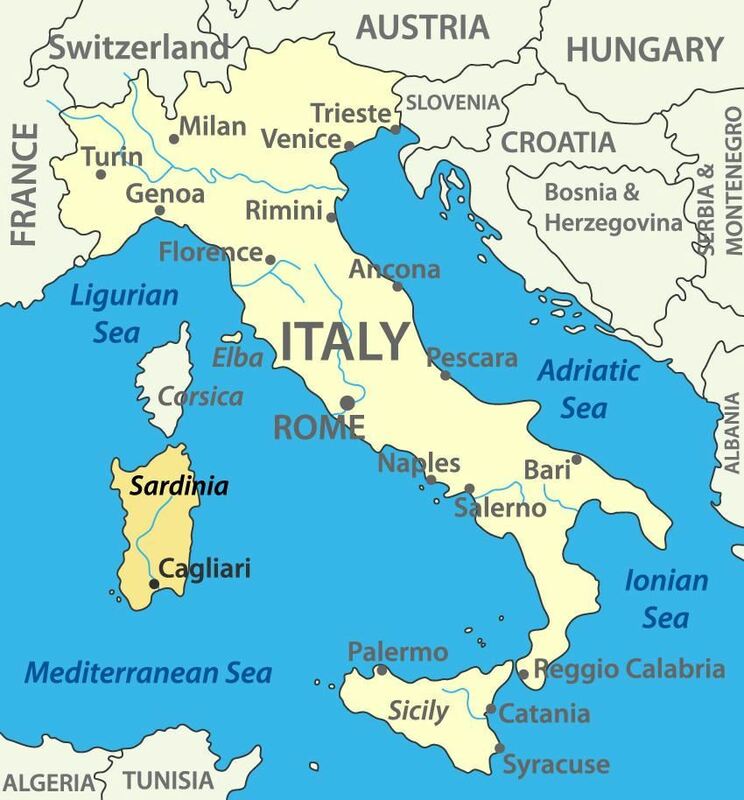 In 238 BC, the Romans annexed Sardinia from the Carthaginians, and it became part of the province of Corsica and Sardinia. Roman rule in Sardinia lasted 694 years, during which time the province was an important source of grain for the capital. Latin came to be the dominant spoken language during this period, though Roman culture was slower to take hold, and Roman rule was often contested by the Sardinian tribes from the mountainous regions.